We spent Christmas day in our home. We were so excited to set out The Girl's gifts. She LOVED her stroller and Baby Stella. 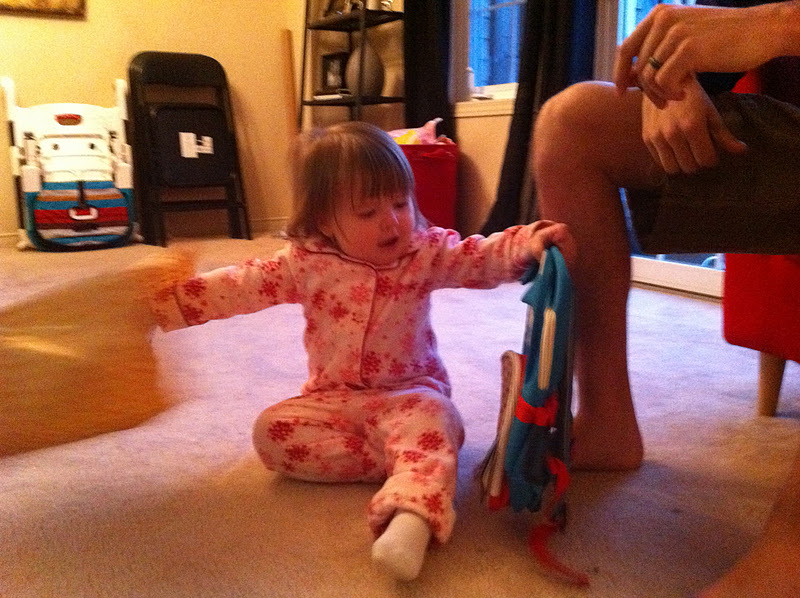 It was so rewarding to see her eyes light up when she saw her new toys. This year was a lot more fun than last. The Girl was healthy, and totally into opening her gifts. 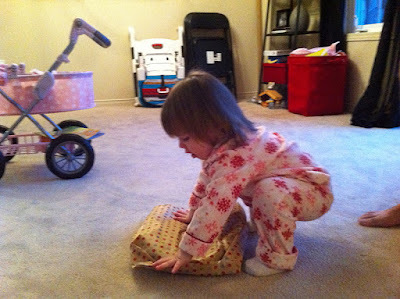 She was so excited about each item. 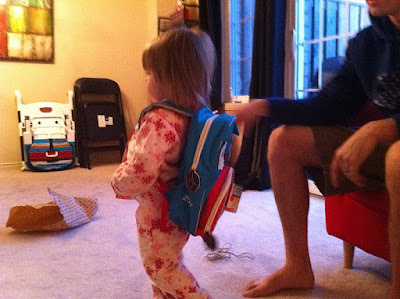 We bought her a back pack, and as you can see from the photos she didn't take it off. 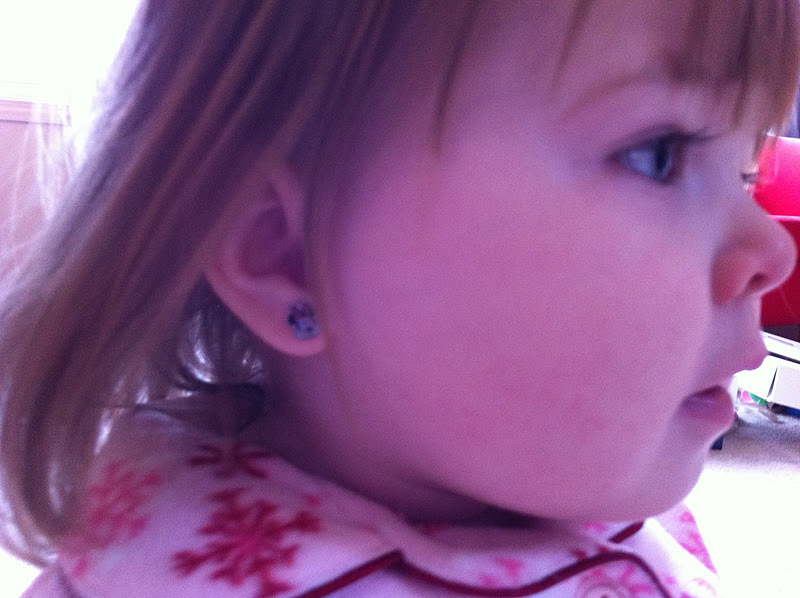 We also got her Minnie Mouse stick on earrings. These took me back to my childhood. People keep asking me if I am going to pierce her ears or not. I have really been going back and forth on this so for now we are sticking with the stickers. Then it was off to Florida to visit family. Travelling took a lot out of us but as always it was worth every second. We love being with family and The Girl LOVED all the attention. New Years was low key. The Hubby and I got away during the day to shop and go on a date. 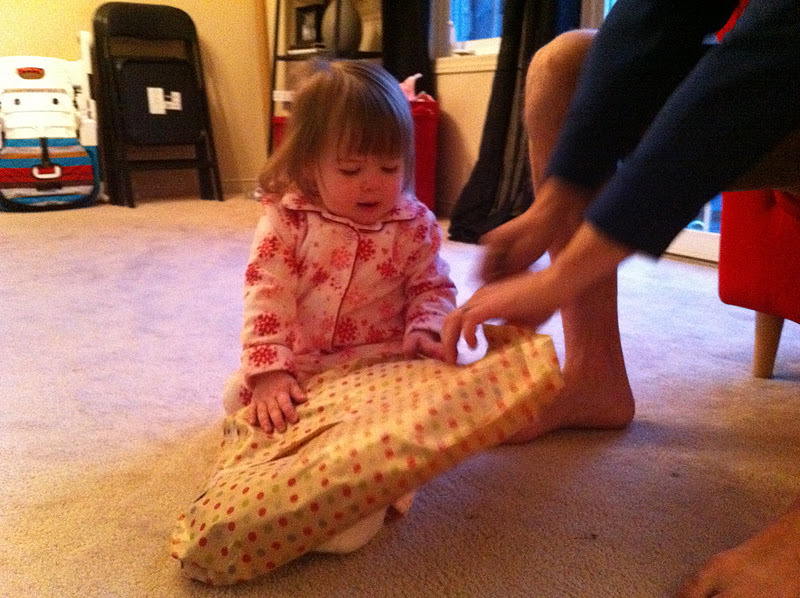 We had smoked pork for dinner (Hubby's fav) and spent time with our family and The Girl. The next day we stopped by the Gator Bowl pep-rally! And got to watch the game with other Gator fans. All and all a great Holiday! i love earrings on little girls and our girls had them done at 4mos and 7mos. although i completely standby our decision, i received flack from some for not waiting until they were 5...but really, to each their own! glad you guys had a wonderful holiday!